This aerial film of Crete documents cinematographer Giorgos Dadanas’s journey to the island in August of 2018. Greece’s largest island is known for its terrain, archaeological sites and museum, and traditional architecture. 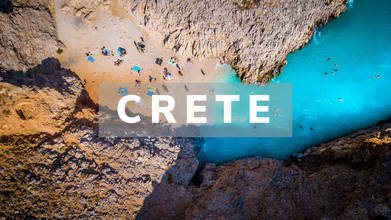 It is one of the most popular holiday destinations in Greece with over 2 million tourists visiting per year. After watching this drone video of the inviting island, you can see why!